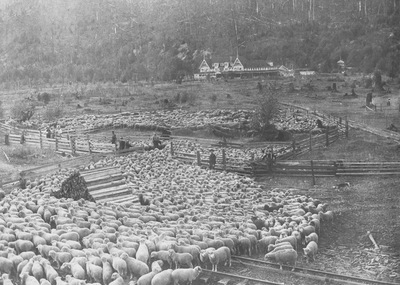 Hot Springs Hotel in Lester, Washington with several large sheep corrals with sheep in the foreground. "Lester, Washington " (1910). Frederick Krueger Photographs. 907.